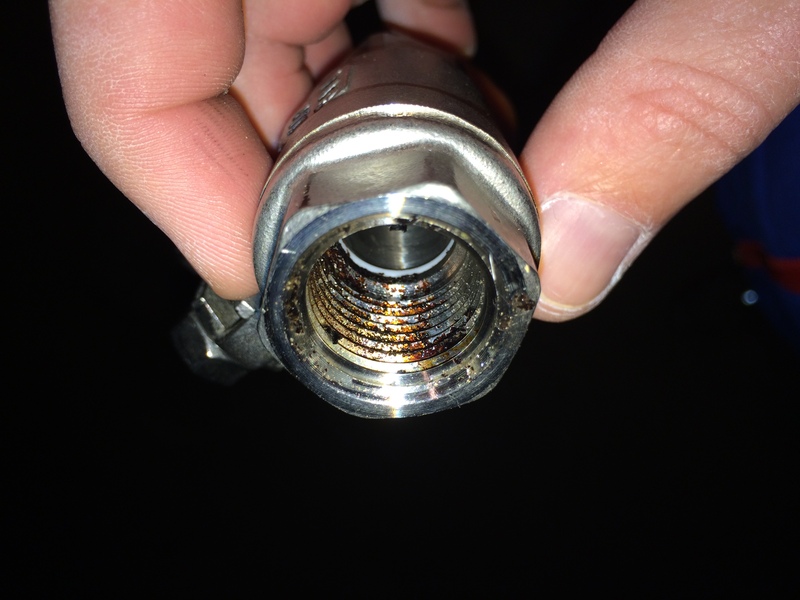 Check your ball valve! | Because beer. I’ve read a few things on reddit and homebrewtalk about brulosophers post. He had a friend who had a long series of bad batches and they ultimately pinned it down to a lot of gunk in his ball valve. There was even a few photos showing all of the gore. 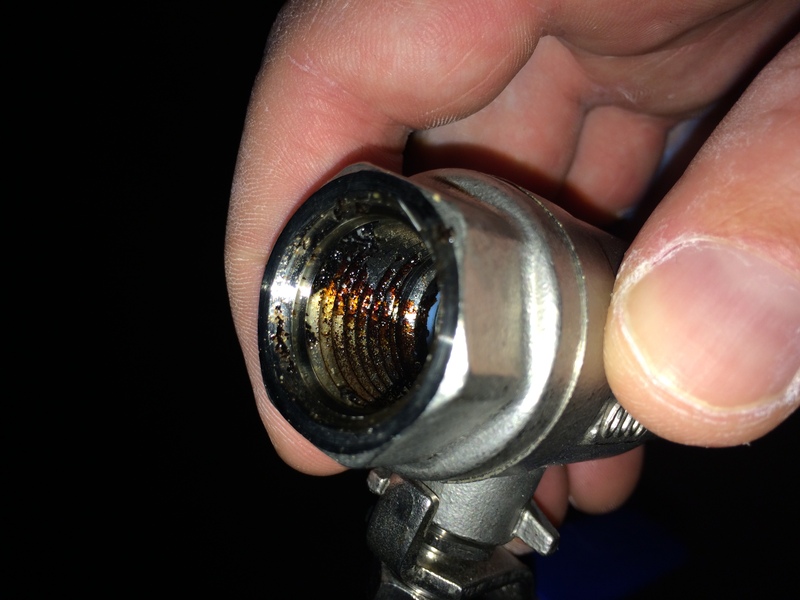 Welp, it’s been a bit since I read that and I finally got around to checking my valve. Yep – mine was dirty. I’ve removed it, boiled it, and it’s squeaky clean again. There are a lot of little bits and bobs that you need to sanitize in the brewing process. Finding and fixing process flaws like this are stuff that makes us all better, and ultimately makes our beer better. In the future we need to recirc hot water more frequently, recirc some hot cleaner more frequently, and break down the valve and inspect it more often.